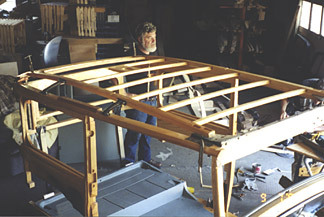 It's easy to see Jim enjoys what he does. 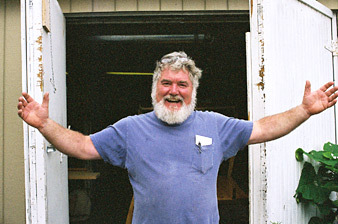 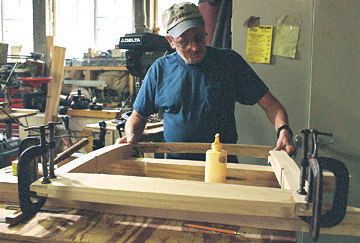 Jay is the other skilled craftsman in this 2-man shop. 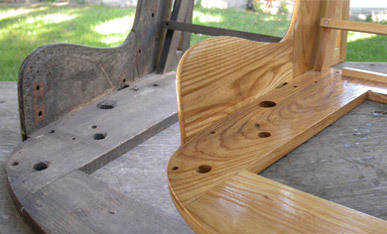 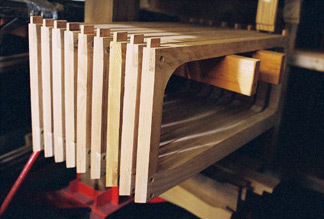 Autowood Retoration uses only Top Grade Ash, Hard Maple, or Oak. 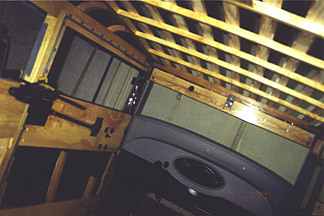 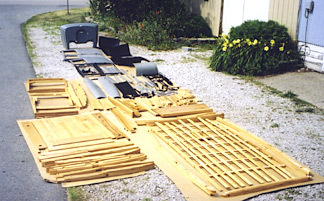 Wood parts are available individually or as complete kits. 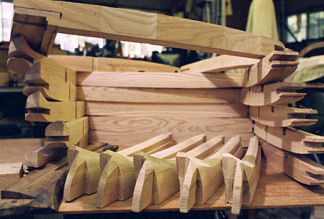 Autowood and it's challenging, painstaking work to create every piece from scratch by copying the old wood. 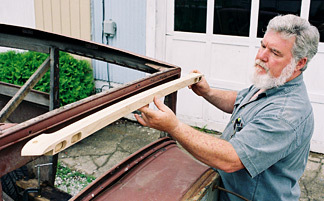 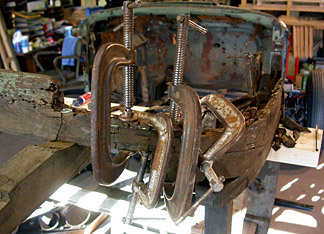 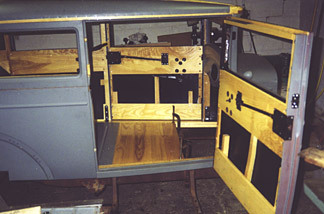 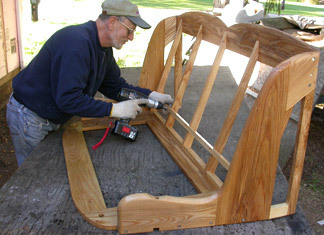 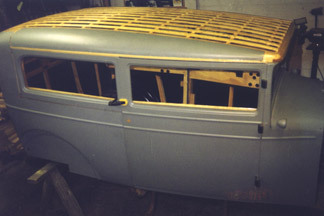 Jay assembles the new '34 Buick seat wood. 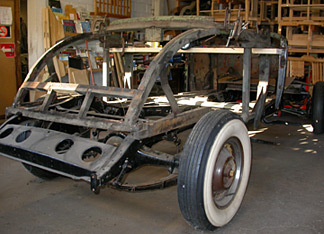 On the right the old wood sits next to the new.